Financial services, and banking in particular, is an industry that has been and continues to be impacted dramatically by the evolution of technology. From mobile deposits and money transfers through apps to smart ATMs, a number of conveniences have been created that continue to shape customer expectations and loyalty. 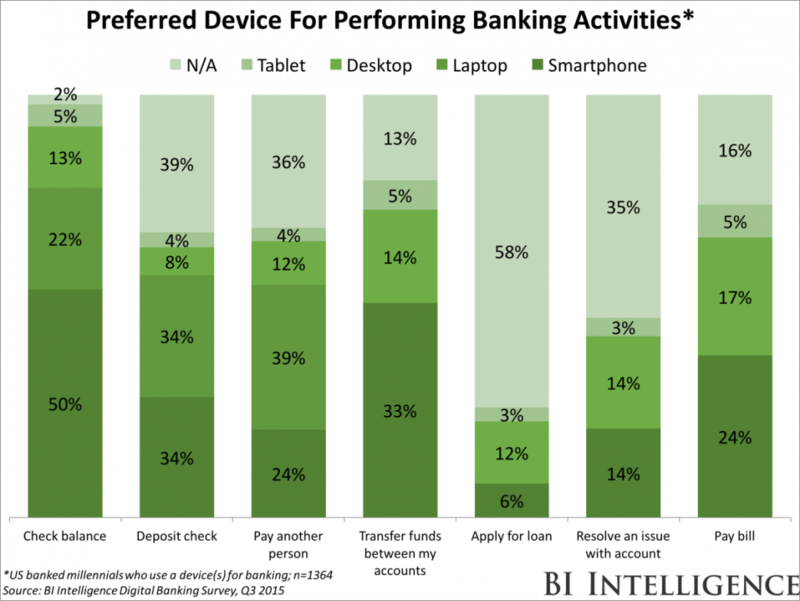 In fact, Business Insider recently posted an interesting summary of how device preferences for performing banking activities is changing.